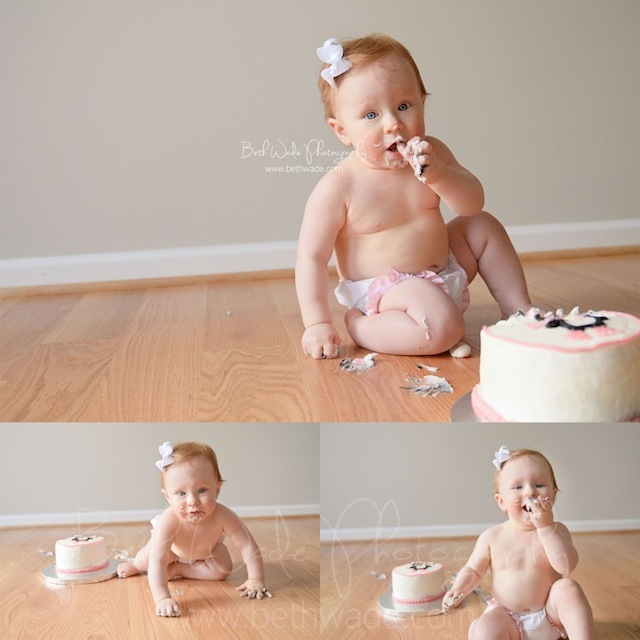 Let's celebrate this precious baby girl turning ONE with a wonderfully simplistic little cake smash session! 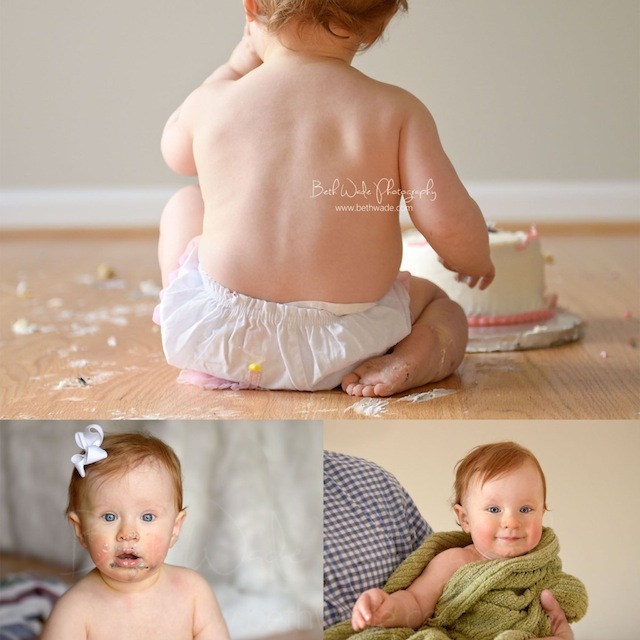 Charlotte, North Carolina photographer, Beth Wade is owner of Beth Wade Photography in which she specializes in creative newborn, baby, maternity and family photography. 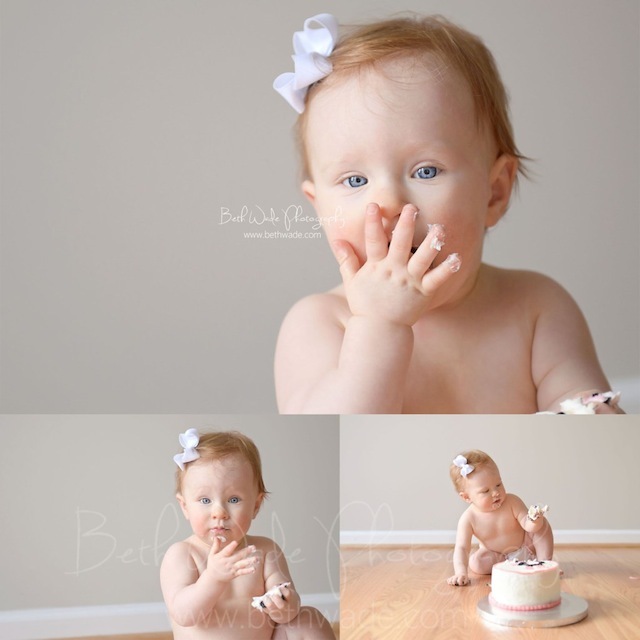 Beth uses natural light to enhance the quality and accuracy of her client's photos and today's adorable cake-smash session represents the clean and crisp effect that she is known for. 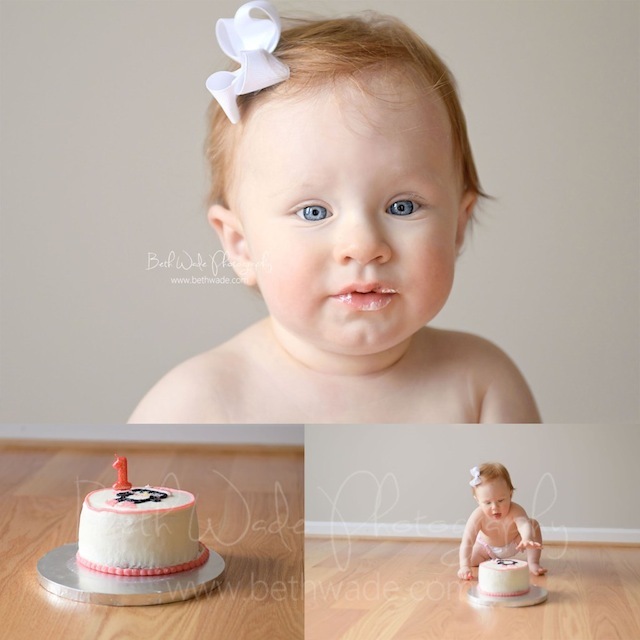 This precious little cake smasher is ALL GIRL in every way. 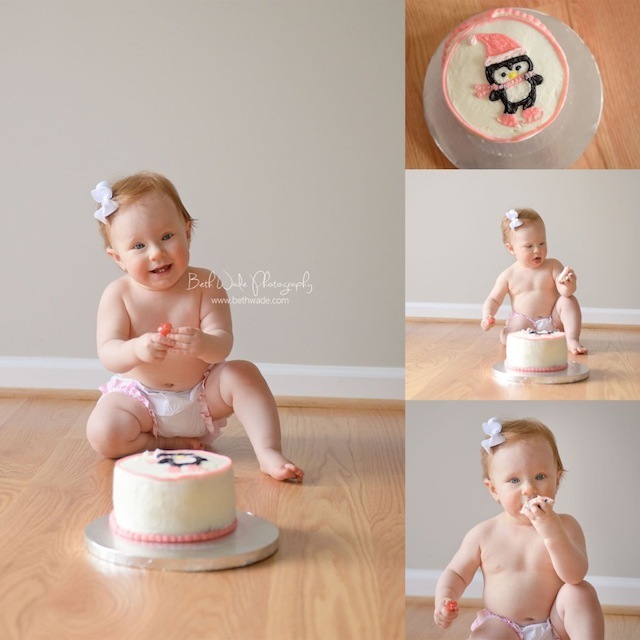 Adorning a sweet white bow, pink lined ruffled bloomers and a matching pink themed birthday cake, baby "N" took her time delicately exploring this yummy icing-covered treat! 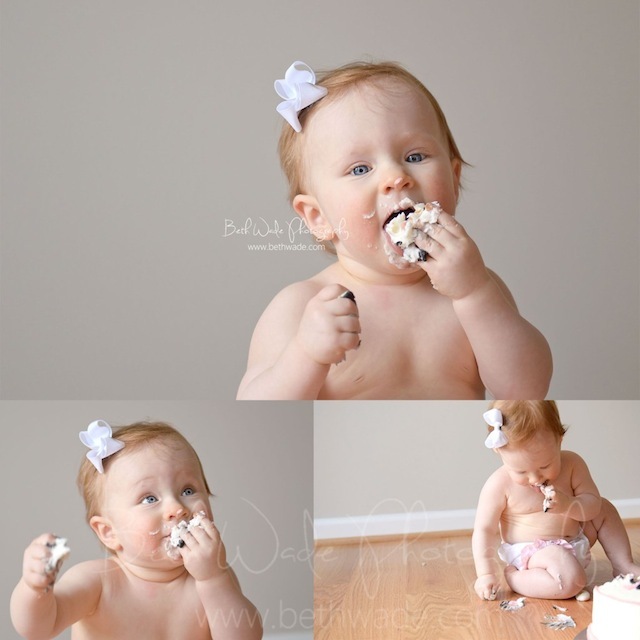 Once that first sugary sweet sample touched her tongue, she was ALL IN and the sugar rush began! 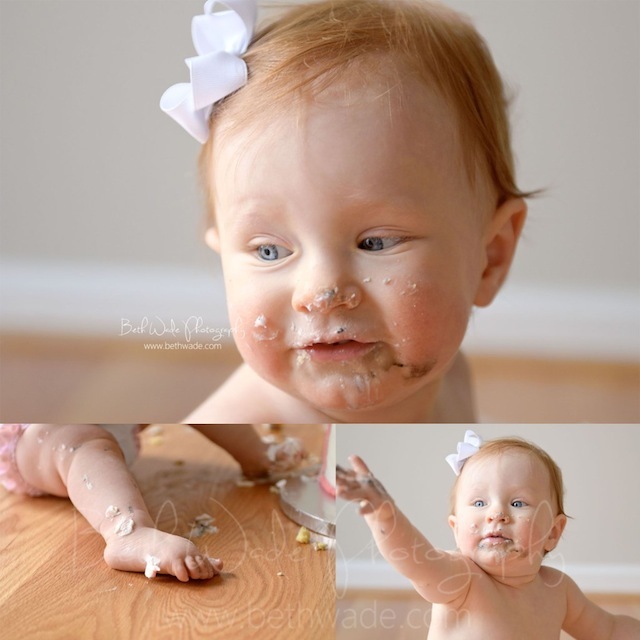 Cake Smash sessions such as these not only beautifully document a huge milestone of baby's first year of life, it gives you a peek inside their adorable personality and how they react when presented with something fun and new. 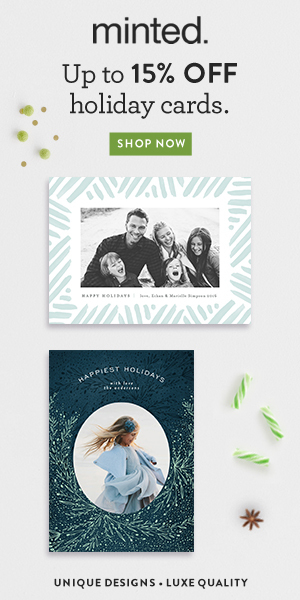 Beth Wade flawlessly captured every movement, every facial expression and every delightful reaction perfectly and I'm so thrilled to share them with you today! We did an outdoor smash session with my son almost three years ago. They are still some of my favorite photos of him! She's very adorable! 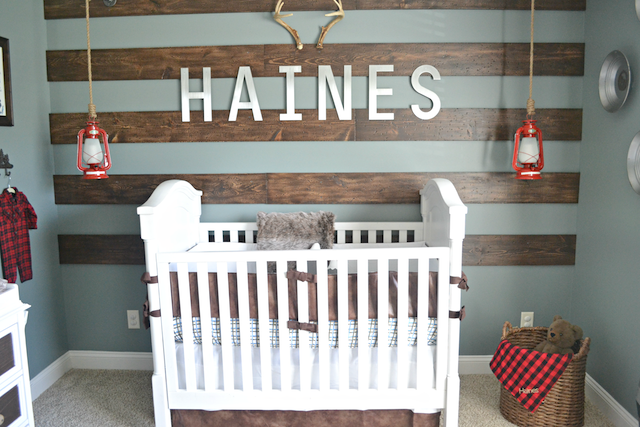 Stopping by from THE Collective Social Blog Hop to say hi. Thank you for linking up. Have a fabulous day! Oh this is so adorable!! 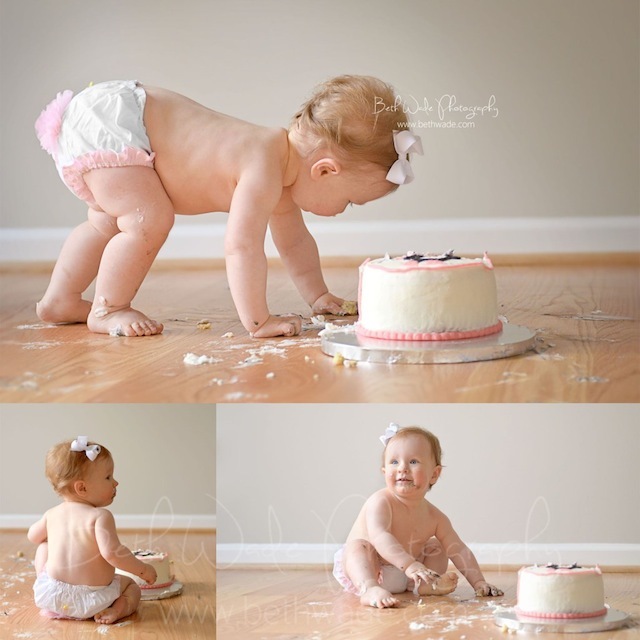 I definitely want to do something like this when my little one turns 1. 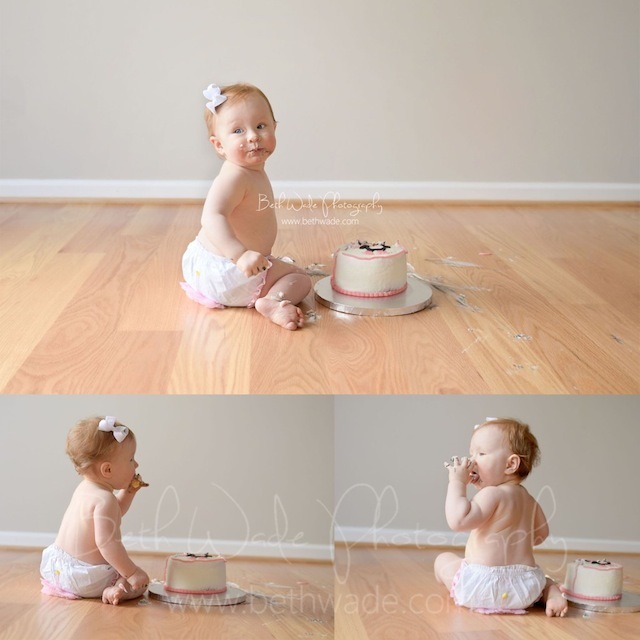 Ooh these shots are so adorable! I agree Crissy!! Beth Wade is an AMAZING photographer! !